Our First Ascents after school program is a great way for your child to begin climbing or improve their skills. With our First Ascents Staff, climbers are guided through once-per-week lessons focusing on a new climbing skill. Climbers progress through the program as they complete our Seven Summits goals. At the end of each month, climbers can “level up” and receive a special paracord knot to commemorate their achievement. The program also encourages character growth and recognizes a climber each class who exhibits the character trait of the week! Members receive 20% off the program. 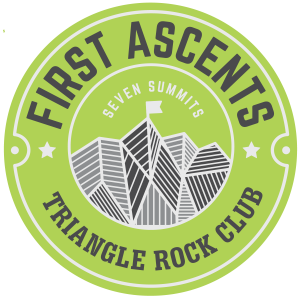 Interested in joining First Ascents? Before committing to the program, please join us for a free trial session! Our trial sessions provide an opportunity for your climber to experience a full class and decide if the program is a good fit. Please note that we do not accept walk-ins.